"It is my one and only bronze and it is very special. My seahorse isn't delicate or well sculpted but it's still special, to me anyway. I spoke about it in my sculpture class and how I didn't know what to mount it on and my tutor said that a suitable mount would come to me and I just had to wait. 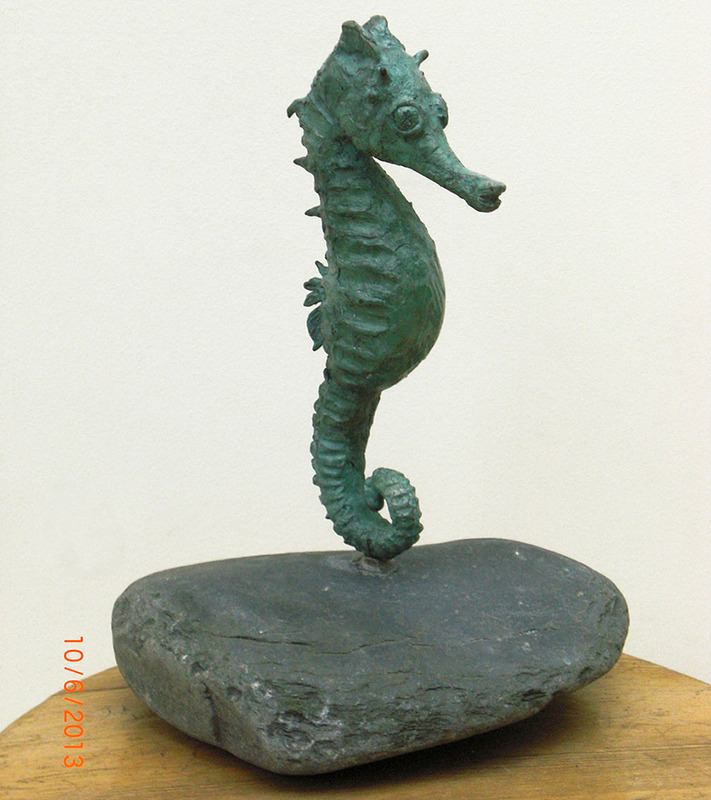 I brought my sculpture in to show my sculpture class friends and a few weeks later one of them came in with a stone from her balcony for my seahorse. There happened to be a builder outside the classroom that day putting security railings up on a wall and he drilled the stone for me in exchange for a cup of tea. So that's the story of my seahorse. One day I will model something else in wax and send it to you to be transformed into something special."